For Billy Bob Thornton, writing, recording and playing live music is something he has done his entire life. With two RIAA Gold record certifications, having performed on the GRAMMY® winning album The Wind by Warren Zevon, headlining at SXSW 2003, a featured presenter on the 2005 GRAMMY Awards, performing vocals on the Tim McGraw tribute Where The Bluegrass Grows and the upcoming Anchored In Love: A Tribute To June Carter Cash, (featuring Sheryl Crow, Willie Nelson, Elvis Costello and others), Billy Bob Thornton traces his music career back to learning drums at the tender age of nine years old. After performing throughout high-school, Thornton went on to play in several groups, most notably a ZZ Top tribute band, Tres Hombres, building a strong following opening for such legendary performers as Humble Pie, the MC5, Hank Williams Jr., Ted Nugent, the Earl Scruggs Review, and many others. 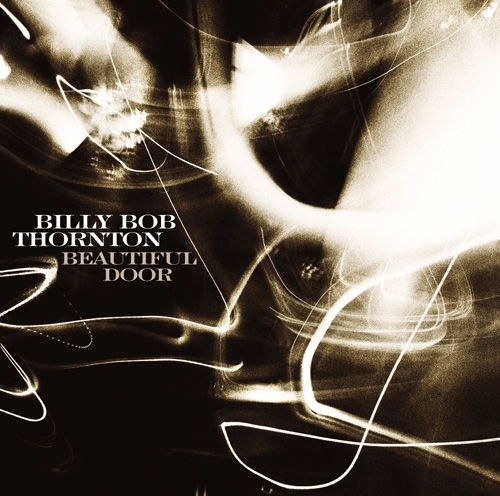 Having released three critically acclaimed solo albums** — today, songwriter and musician Billy Bob Thornton’s latest work, BEAUTIFUL DOOR (released on July 24th on New Door Records/UMe), proves to be his most introspective and prolific to date. BEAUTIFUL DOOR features a selection of tracks ranging from the autobiographical “Always Countin’” about Obsessive Compulsive Disorder; to the political anthem “Hope For Glory,” a song about the loss of young men in war; to “Restin’ Your Soul,” told from the point of view of the person left behind; to the haunting “It’s Just Me.” This song is written from the perspective of someone who committed suicide that is now talking to the person whom they had loved. Billy Bob Thornton describes it best, “’It’s Just Me’ is about a warm spirit who is singing to their lover, and that they are now living inside their lovers soul. They are saying I took my own life, but don’t be scared. Now I’m just where I always should have been all the time — with you, as one.” And because it is one person singing to another, it is the only song on BEAUTIFUL DOOR without any harmonies, and Thornton’s vocal performance truly captures the essence of a solitary soul singing. The final track of the album is about the loss of a child titled “The Boy Is Gone.” The writing of this song resonates and has tremendous personal meaning to Billy Bob Thornton. He reflects, “I always wanted to write a song about a couple who experienced a tragedy with a don’t kill the messenger undertone. ‘The Boy Is Gone’ is about not being able to look each other in the eye after there has been a tragedy between two people, even though it was not their fault. In this case a, couple loses a son, and even thought they still love each other and would like to be together, they can’t even look each other in the face. They can’t go back into the house they once lived in, can’t be in each other’s presence because the reminder is always there. And in a way, they almost blame each other for the loss even though neither one of them had anything to do with it. In my own life I have experienced personal loss and still, to this day, and somehow unfairly, I still have negative feelings about the person who told me the bad news. Joining Billy Bob Thornton who produced, co-wrote all songs, played drums, and performed lead vocals on all tracks of BEAUTIFUL DOOR are co-writer and guitarist Brad Davis, bassist Leland Sklar and keyboardist Teddy Andreadis. Additionally, Graham Nash adds his signature background vocals on three tracks. BEAUTIFUL DOOR was mixed by GRAMMY® winning engineer Jim Mitchell. Additional engineering was handled by GRAMMY winning JD Andrew. 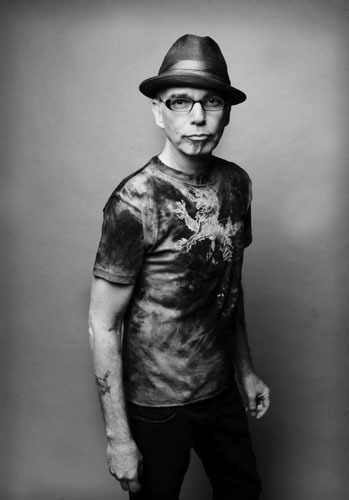 In addition to his solo albums, Billy Bob Thornton has appeared as a guest vocalist on the legendary Earl Scruggs’ Earl Scruggs and Friends album, where he performed a rendition of Johnny Cash’s “Ring of Fire”; Styx’ Cyclorama album on the single “Bourgeois Pig”; the GRAMMY® winning album The Wind by Warren Zevon; the Tim McGraw tribute Where The Bluegrass Grows; and the upcoming Anchored In Love: A Tribute To June Carter Cash, (featuring Sheryl Crow, Willie Nelson, Elvis Costello and others). Thornton continues to break the mold while living on the cutting edge, creating powerful songs with prolific lyrics that are stories reflecting his love for music and life itself.